BRYAN EATON/Staff photo. 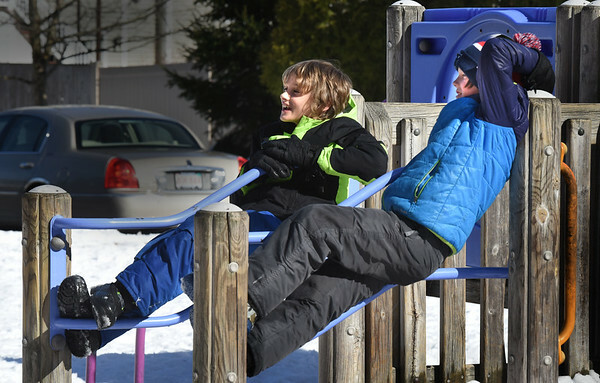 Oliver Peters, 8, left and Andrew Scorzoni, 10, lounge around some playground equipment on Monday afternoon. They were at the Amesbury Recreation Department's afterschool program at Amesbury Elementary School where they took activities outside for the nice weather.